The American Southwest has many mysteries, some ephemeral but many others are very physical. Some of these physical mysteries are in the form of pueblo ruins built by the peoples who lived in the region long ago. While other physical mysteries appear in the form of lines carved into the surface of the earth. Chaco Canyon is one of the largest ruin complexes and can be found in the northwestern region of New Mexico in the San Juan River Basin. The Chacoan culture has been the subject of speculation for centuries. 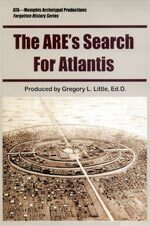 Who were they and why was such a large and complex series of structures built in such an inhospitable land? Scientists and those involved in academic studies theorize that the Chaco Complex was built as a religious center or even as a center for trade. With the many outlying or satellite communities serving as way-stations or providing confirmation of the many astronomical alignments which can be found at Chaco Canyon. And, in part, I feel that these theories are correct. But the origin of Chaco was probably much simpler. And much older. Chaco Canyon has numerous satellite communities; Salmon Ruins, Aztec Ruins, Mesa Verde, Chimney Rock and numerous smaller un-named pueblos. In the October issue of AP magazine, I wrote about Chimney Rock in Colorado and how it was utilized as an astronomical outpost for Chaco. The same astronomical relevance can be applied to the main structures at Chaco with moon rises, sunrises, and other important celestial events being the focal point for windows, doorways, and even entire buildings. Even the cardinal directions were taken into consideration with building placement. The complexity of the construction of this region has been a perplexing puzzle for decades. It is generally thought that only civilizations much further south were capable of such well thought out designs and alignments. Could the peoples who had this knowledge have migrated to the San Juan River Basin from another land? Or even another continent? To add to the mystery, is the roadway which leads north from Chaco Canyon. This road is known as The Great North Road or The Great North Road of the Anasazi. 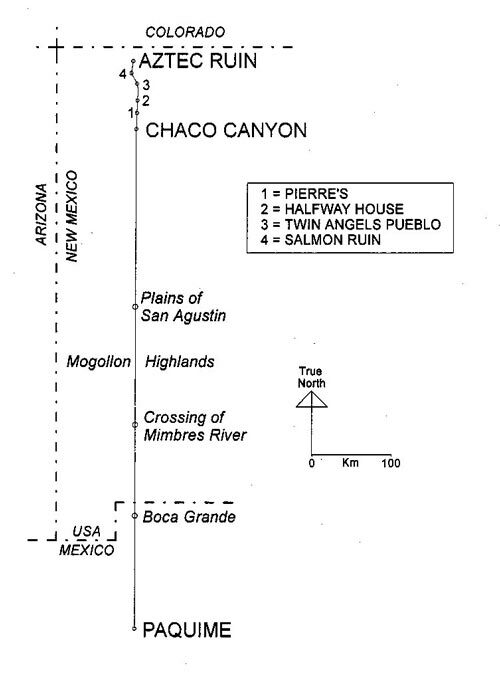 The Great North Road runs predominately north from the Chaco Complex. There are roughly 180 miles of roadway which have been found so far. Further investigations through aerial photography and on the ground exploration may result in the discovery of an extensive and possibly complex road system. Interestingly, the majority of the building complexes which belonged to the Chaco Complex lie to the east, west and south of Chaco. Very few, if any, ruins are found along the Great North Road. An important fact to remember, there is no evidence that the Chacoan Culture had carts, wagons or even the animals to pull them. And yet, a large roadway was built by the removal of much dirt and vegetation. For the most part, The Great North Road follows the terrain but slopes were constructed to allow for ease of ascent or descent. Occasionally, when the road crossed an elevated section of land, the land would be cut away to allow for an easier climb. Stonework and masonry work can still be seen in areas along the roadway. For a good portion of its length, the roadway is actually two parallel roadways. Four parallel roadways have been located in a roughly mile long section via aerial photography. The width of the roadway is close to 30 feet, wider than most of our modern roads. The construction of the road was a major undertaking which proves it was an important element for the Chacoan People. The Great North Road begins at Pueblo Alta, a large structure which is located on the north rim of Chaco Canyon. It runs within a few degrees of north throughout its length, making only slight alterations to this route to include a unique geologic complex called Pierre's Complex. This particular area has many small buttes and cones with the remnants of two great houses and several smaller buildings to be found on the tops of these naturally formed lookout points. Pierre's Complex (a.k.a. Pierre's Ruins) are roughly a day's walk north from Pueblo Alto. Another day's walk to the north of Pierre's Complex is Halfway House, a block building with numerous rooms. From Halfway House, The Road continues north at this point - or rather only two degrees off true north. It continues on this heading to terminate at Kutz Canyon, near Twin Angels Mound where a shrine can be found. So far, no evidence has been found of the road continuing northward to Salmon Ruins or Aztec Ruins which are thought to be part of the Chacoan Culture. It was at this point that researchers believed the road came to an end, adding to the mystery of why The Great North Road was built. But in recent years, the ruins of a stairway were discovered leading from Upper Twin Angels Mound down into the canyon below. Long, straight pieces of wood have been found near where the stairway may have existed. Broken pottery has also been found along the stairway route. Initial reports state that the timbers found near the stairway, pre-date the habitation of Chaco Canyon. If the road continued on from here, no evidence has been found as yet. But the torrential downpours and flash floods common to this region, can quickly obliterate any trace of Man. There are the ruins of two roomblock buildings nearby. One of the buildings was large with 17 rooms and two enclosed kivas. While the other roomblock was small. Upper Twin Angels Mound and El Faro are both symmetrical mounds which dominate the horizon when viewed from the south. There was once a shrine located on top of Upper Twin Angels Mound, its ruins can still be seen. Quite probably the point to which travelers on The Road were headed for. 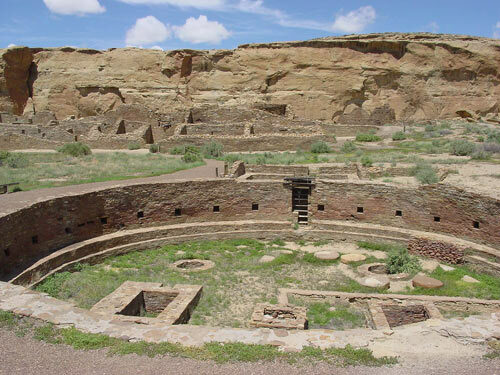 Chaco Canyon is considered a trade center by many researchers. Evidence of chocolate has been found in ceramics unearthed at Pueblo Bonito. Pueblo Bonito was a 5 story building with 500 rooms. It is thought to be the foremost ceremonial structure in the Chaco Complex. The chocolate evidence proves that trade with Central America occurred, since the nearest cacao plantation was more than 1000 miles away. Cacao beans were considered so valuable, the Maya deemed them a form of currency. Besides chocolate, macaw feathers and pottery similar to that which has been found in Meso-American cultures have also been found at Chaco Complex. Found along The Great North Road, are potsherds (broken pottery pieces). And while this is not that unusual of a thing to find along a trade route, the amount of potsherds found and the lack of any sort of human habitation along the road leads one to believe that the roadway was ceremonial or sacred. And perhaps the pots carried offerings for the gods. But what else could they have held? Water would be an obvious, and sensible, consideration especially in such an arid environment. But the pots found were never meant to carry water. Those that have been reconstructed appear to be of ceremonial design. Was Chaco Canyon simply a hub where merchants met to buy and sell goods? Or did the Chaco elite have a commodity themselves? Something so precious people would travel from faraway lands and bring their most precious commodities to obtain it. In the next issue of Alternate Perception magazine, I shall theorize about what the Chacoan Culture really controlled and how they came into such wealth. Jeanne Gripp is a freelance writer, dowser and subtle energy worker who lives in the shadow of Pikes Peak. 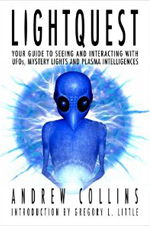 A Colorado native, Jeanne explores the connection between unknown lights, strange creatures, ancient legends, and earth energy lines. Jeanne has spent a lifetime of searching for answers. Only to find more questions. 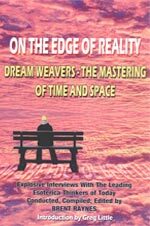 Her articles and books are an attempt to compile and explain the relationship between many of the anomalies that she has experienced over time. The aging but still energetic scientist, then 55 years old, had worked for universities and his national government for decades. He traveled frequently in his official position, often alone, and had just begun a leave of absence from his appointed government position. In the past few years he had become obsessed with dreams about life and death, the meaning of life, and many personal, ethical dilemmas that nagged him. His past, it seemed, had become a raging, swirling psychological issue. It needed some sort of recognition and closure, neither of which was the first choice of the scientist. He had tried to forget the strangeness of his past by immersing himself in a quest to understand the natural world. The strategy had worked—until now. In his youth he had often seen inexplicable lights darting around in the sky, experienced brilliant flashes of light that intruded into his room, and had visions of many kinds. All of the strangeness in his life was avoided and coped with by a focus on science. Few people knew about early life experiences with the paranormal. Even fewer people today recognize this aspect of his early life. By age 55 he had become a highly regarded mathematician, a widely read natural scientist, and a sought-out engineer. His many books, work, and projects made him famous. He had turned down the position of chairman of mathematics at the most prestigious university in his country, preferring to write books on science and take on appointed governmental tasks. He also disliked giving lectures, so a professorship was out of the question. But his face and name were well-known to those who kept up with the media of his day, so he often preferred to travel quietly and without fanfare, having contact mainly with close friends and few ladies whose company he enjoyed. By age 55 he was filled with self-loathing and an irresistible impulse to make some sort of moral sense of his life. He usually stayed in the same hotels and often dined late and alone in secluded places in efforts to avoid admirers and others. Everything he did and all of his travel was carefully arranged. He had been a womanizer and that aspect of himself was also part of his internal struggle, although his “urges” had suddenly and inexplicably ceased. Despite all these efforts to control his life, everything changed when his first encounter with an alien occurred. He was staying in London when his extraterrestrial encounters began. He was eating alone in a small side room of a local tavern. Suddenly the room darkened. Then a man inexplicably appeared in a corner of the room. It startled him and he looked at the odd man sitting in a chair who was just staring at him. “Don’t eat too much,” was all the man said. It was so unsettling that the scientist jumped out of his seat and immediately left without saying a word. He ran to his nearby hotel and was exhausted and scared. He fell asleep quickly and had disturbing dreams. There are numerous written accounts of this night, and in one of these written records, the sudden appearance of the odd man was so disturbing that a physician was called to his room by the hotel management. After the scientist was sedated, security staff were assigned to stay with the famous man through the rest of the night. Some accounts relate that the man from the tavern appeared in the dreams, but other accounts are different and the scientist’s own journal is silent on this. According to the scientist’s written journal account of the visitation, it was on the next night that the “man” from the tavern again physically appeared to him. It happened at night in his hotel room. The odd man was seen to materialize and manifest into a physical form, sitting in a chair, where he was staring at the scientist. He was a physical human without any real distinguishing characteristics, but he was wearing purple robes and basking in glowing light. The man explained that he was going to open the scientist’s mind to the spiritual world adding, “I am God, the Lord, the Creator, and Redeemer of the World.” Open his mind it did and the visitations escalated. For the next 28 years the scientist was not only visited by physical beings who claimed that they lived on other planets, but he was taken to several planets in the solar system. Saturn was the outermost planet he claimed to visit. The visitors revealed that the moon was inhabited by living beings—as were virtually all of the planets and several other moons of our solar system’s planets. Then the scientist was told that, “There are far distant earths, planets inhabited by beings similar to us.” The universe was filled with countless suns and inhabited planets. Many of these beings were called “angels,” but they were not exactly the type of angels depicted in the Bible. They were physical humans who had played roles in not only the day-to-day life of humans, but they helped shape history by visiting Earth from time to time in the ancient past: He wrote, “the ancients on our earth frequently spoke with them.” And here is where the Ancient Astronaut Theory had its birth, with the first person who can be accurately described as a “contactee.” He was Emanuel Swedenborg (born 1688; died 1772) the famous Swedish scientist and mystic. Like nearly all of the contactees who broke into the flying saucer atmosphere of the 1940s and 50s, Swedenborg wrote of his interactions with the aliens and the cosmic information they bestowed upon him. 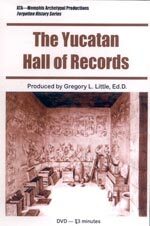 Thousands of pages were produced and published by him based on his visitations. Heaven and its Wonders and Hell (1758) and Earths in the Universe (1758) were just two of his classic books describing his extraterrestrial contacts and the information he was given. Today, self-proclaimed skeptics and many who follow and study Swedenborg ardently interpret what Swedenborg wrote about his interactions with the beings on other worlds as the result of “spiritual” and “visionary” (hallucinatory) experiences and that he was describing souls and not physical beings. Skeptics who control Wikipedia (the online “encyclopedia”), which is often visited online first by people wanting a summary of information, are told that Swedenborg had “psychic” contact with alleged alien beings. Skeptics have their reasons for wanting people to believe that Swedenborg claimed “psychic” contact with aliens rather than actual physical visitations. But if you read what Swedenborg actually wrote, it’s clear: when his encounters began he was describing physical beings and physical craft. They were people. People who were identical to humans on Earth. In Earths in the Universe, Swedenborg wrote: “There are far distant earths, planets inhabited by beings similar to us.” “On such occasions there appear chariots and bright horses of fire, by which they are carried away like Elijah.” From one of his journeys to another world he described, “I observed a flaming object exceedingly beautiful; it was of various colors, purple and also pale red, and from the flame the colors shone beautifully.” In Heaven and its Wonders and Hell he wrote, “I have seen a thousand times that angels are human forms, or men; for I have conversed with them as man with man, sometimes with one alone, sometimes with many in company; nor did I discover in their form any thing different from the form of man; and I have repeatedly wondered that they were such. And lest it should be said that it was a fallacy, or a visionary fancy, I have been permitted to see them in a state of full wakefulness, when I was in the exercise of every bodily sense, and in a state of clear perception” (p. 49). These descriptions are clear and vivid, definitely not describing a psychic or visionary contact. Swedenborg’s assertions about life in the universe, especially the ideas that related to Christianity, were viewed as heresy by the Church, but they were also embraced by many people. Several “churches” and organizations were formed around his concepts (many still exist). In addition, study groups convened so that like-minded people could gather to discuss his ideas. One such group made clear what Swedenborg related about life in the universe. In a pamphlet produced by one of the Swedenborg study groups (Hawkstone Inn, 1832), it is related that Swedenborg received revelations and thus his writings were referred to as “the Revelation” and Swedenborg himself was referred to as the “Revealer.” The book states, “Revelation says, each fixed star is a sun, the centre of a system, consisting of planets inhabited by intelligent beings” (p. 6). It then goes on to discuss a controversy over the number of stars in the constellation of Bootes, with the star Arcturus as the brightest and most important in the group. This is curious for reasons to be discussed later. But there is no doubt that Swedenborg asserted that beings existed everywhere in the universe and that they had and were visiting Earth. He sometimes referred to many of the beings as “angels,” but they were physical beings in human form. Swedenborg has been portrayed in many different ways, but in his later years Swedenborg was, as William White (1868) called it, in a “chase for the soul.” It was a chase for meaning, a search for ultimate truth, and an attempt to understand Christianity and a host of key religious beliefs. Swedenborg himself eventually came to view many of his visitations as “spiritual” in nature. Like many of the modern contactees and the more recent “abductees,” Swedenborg felt compelled to write about his experiences and cast them in a spiritual light. 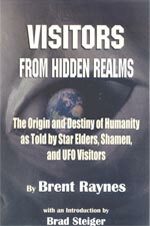 A “church” or religious group is often formed around the revelations received from the aliens. Likewise, nearly all of the later contactees combined interplanetary travel with life on other planets, cosmic knowledge, ultimate truths, and a benevolence for the humans race by the aliens. The “aliens” were, to them, truly “Space Brothers,” brothers who had an interest in the human soul and its ultimate significance. As we shall discuss later, Swedenborg was certainly not the first to assert that life existed elsewhere in the universe. But he was the first to claim that the people from other worlds had and still were visiting Earth and that they influenced history. His assertions and ideas were also the forerunner for many later psychics, the development of Theosophy, the source of ideas for many fiction writers, the blueprint for later contactees, and countless others. Swedenborg truly was the starting point of the Ancient Astronaut Theory as we know it today. But it is important to understand that he is all but ignored by ufology. The reason this is so relates to the depiction of Swedenborg’s experiences as spiritual, religious, and psychic in nature. Ufology prefers a nut-and-bolts interpretation of the UFO phenomenon, so the vast majority of those interested in the field tend to dismiss such accounts as “something else,” something unrelated to UFOs. Likewise, modern skeptics also tend to ignore Swedenborg preferring to cite someone else as the “first” person to suggest that ancient astronauts visited Earth. They name a favorite fiction writer or someone else they prefer as the “first” in part as a ploy so they can suggest that later UFO writers plagiarized their favored person. But the bottom line to the “first” person who penned the Ancient Astronaut theory is quite clear. Swedenborg, a respected and famous scientist, put forth the idea in the 1740s and 50s. 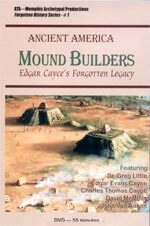 The development of ancient Native American mound builder rituals and beliefs is a genuine mystery. 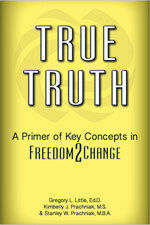 We do know some of their key beliefs, but where and precisely when the ideas behind them emerged remains an enigma. Identifying the timeframe and locations where some of their beliefs were utilized may lead to a few truly important discoveries. 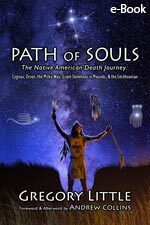 One of the most researched “secret” rituals of the mound builders is the soul’s journey to the Path of Souls. It reveals some of their deepest and most cherished spiritual ideas. These are their ideas about the soul, the afterlife, and the journey after death. All of the rituals in this journey involved magic, specifically the manipulation of sacred symbolic objects employed at specific times and within carefully placed sacred spaces designed for the rituals. The “Path of Souls” is the key identifying factor of what archaeologists refer to as the Southeastern Ceremonial Complex (SECC). It was a journey to the stars. The magical rituals of the SECC engaged mounds, geometric earthworks, specific symbols, containers, and drugs found in nature combined with movement through the sacred space. It is likely that subtle energies—geomagnetic anomalies created by the place chosen for the enclosed earthen-formed sacred spaces—played a role in altering consciousness. 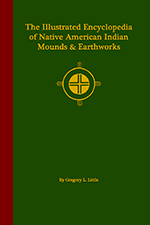 The mounds and earthworks often formed the paths for the spirit to follow and also allowed tribal participants in the rituals to perform controlled movement through the sacred space. The “Path of Souls” was the Milky Way formed by the inner light of souls making the journey. The journey to the sky began when the departing soul leaped over water to a portal in the western sky. The portal was located on the horizon and the jump to it took place just before dawn on the Winter Solstice. The portal, known as an “ogee,” was in the palm of a hand hanging down in the sky. The hand was formed by the constellation of Orion, and the portal was Orion’s Nebula, Messier-42. The hand with the ogee is known as the “eye-in-hand,” and it is one of the most striking symbols of the SECC. The soul leaped through this ogee—a slit in the sky—to the Milky Way where it made its way along this vast band of stars slowly moving toward the north. It eventually reached a split in the path formed by the dark rift of the Milky Way. Here, it encountered a large raptor bird—a sky deity—that served as a judge. The bird was formed by the constellation of Cygnus located at the Dark Rift. Symbols of raptor birds and a “forked eye” represent this spot. 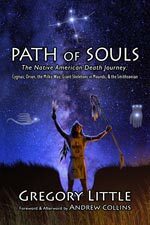 In a series of earlier research reports, stellar alignments to the Path of Souls have been found at several Hopewell (1000 BC-200 BC) and Mississippian sites AD 900-1400). The Path of Souls ritual involves four key alignments of mounds and earthworks to the horizon, all of which are designed to allow observers to view the stellar event from the top of one major mound across another mound or earthwork placed in precise position. It is thought that tall, large wooden posts or temple tops were erected on the mounds to show the spot on the distant horizon where the stellar event took place. The necessary stellar alignments in the Path of Souls journey appear to be: 1) The place on the horizon where the sun sets on the Winter Solstice; 2) The horizon location where the Cygnus Constellation sets after sunset; 3) The place on the horizon where the Orion Constellation is first seen rising at sunset; and, 4) The location on the horizon where Orion sets just before dawn. One additional stellar element is needed. That is that the Scorpius Constellation (the ruler of the underworld) needed to be below the horizon and not visible when the ceremony took place. The Angel Mounds site is located by the Ohio River in Evansville, Indiana. It was constructed starting in AD 1000 and was in use until approximately AD 1400. 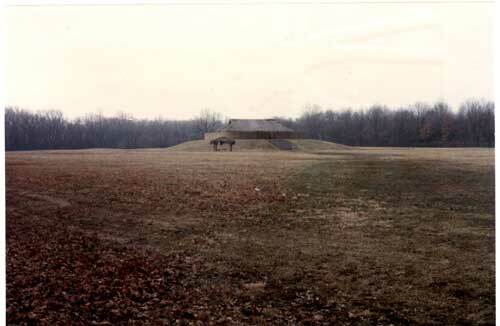 Fourteen mounds were erected at the site, which was encircled by a high, fortified palisade wall enclosing 100 acres. It is thought that about 1000 people lived in the complex with many smaller towns surrounding the town. 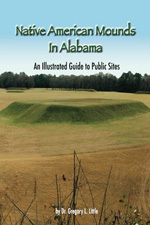 Five large platform mounds were erected in the complex with the largest, known as Mound A, located in the center of a plaza area. The mound was nearly 30 feet high and had two flat levels, each with temples. Its huge base was 644 feet by 415 feet making it impressive but somewhat smaller than the Great Pyramid at Giza’s 756-foot square base. As with previous Mississippian sites, it is assumed that the central mound was utilized for key stellar alignments. The first item checked was the visibility of the Scorpius Constellation on the Winter Solstice night. Results showed that Scorpius was below the horizon the entire night rising only after dawn when it could not be seen. In addition, alignments to the Winter Solstice sunset were calculated. As viewed from the central mound, the sunset would have been viewed directly over Mound F, a large truncated pyramid with a temple erected on its summit. The next alignments calculated were the visibility and actions of Cygnus. At dusk Cygnus was visible on the northwest horizon and it fell below the horizon at 11:00 PM. As viewed from the central mound, the setting of Cygnus was directly over Mound E, a conical flattop mound that housed a temple. The final alignments checked were the rising and setting of Orion. 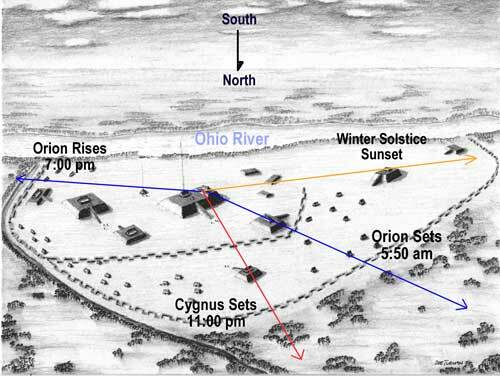 At 7:00 PM Orion was seen rising on the eastern horizon over a small mound and was seen directly over the eastern corner of the palisade wall at the Ohio River. It traversed the sky until 5:50 AM when it set slightly southwest directly over Mound C, a large truncated pyramid also housing a temple. The illustration with this article shows the alignments. Finally, the Ohio River bends sharply to the north due west of Angel Mounds, serving as the body of water where the soul had to wait until the setting of Orion’s Nebula. In summary, Angel Mounds shows the same key Path of Souls’ stellar alignments on the Winter Solstice as the Hopewell sites of Portsmouth and Marietta, Ohio and the Mississippian sites of Winterville, Mississippi and Moundville, Alabama. More sites are expected to do the same. A newly released report in the peer-reviewed journal “Archaeological Discovery” casts doubt on a widely-touted belief that the three pyramids at Giza were built to mimic the three belt stars of the constellation of Orion. 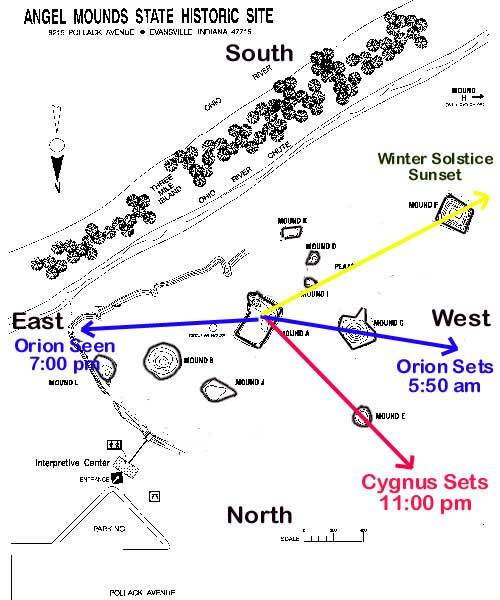 Instead, the report shows conclusively that the wing stars of the constellation of Cygnus not only fit the pyramid’s configuration better than Orion, but that the three key stars of Cygnus were seen to set directly on top of the apexes of three pyramids at the time of their construction. 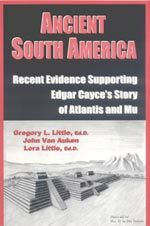 The 15-page paper, authored by engineer Rodney Hale and researcher Andrew Collins, was published as a response to an earlier paper seeking to support the idea that Orion was a better “fit” for the pyramids than Cygnus. The Orion hypothesis was first popularly proposed in 1994 by Robert Bauval and Adrian Gilbert who utilized a Naval Observatory photo superimposed over a photo of the Giza pyramids to show a possible correspondence. This simple presentation caught the attention of the public but was criticized by some mainstream astronomers and archaeologists. It was then asserted that all of the stars of Orion somehow fit ground structures in Egypt, but that idea was abandoned. More careful research showed that the fit of the three belt stars of Orion to the three pyramids wasn’t a perfect match, but it was asserted to be close enough. 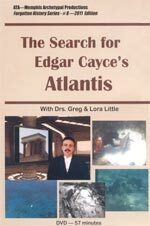 The controversy remained static until 2006 when Andrew Collins proposed the Cygnus-Giza Correlation in his book “The Cygnus Mystery.” It was engineer Rodney Hale who first calculated that Cygnus was a better fit for the pyramid complex than Orion. While Collins found support for the Cygnus-Giza Correlation Theory in Egyptian mythology and in actual ground structures found at key points where the other stars of Cygnus would fall, long-time supporters of the Orion idea simply dismissed the competing Cygnus theory. In their new paper, Hale and Collins utilized the most accurate ground survey maps ever made at Giza, which were produced by the official Giza Mapping Project. 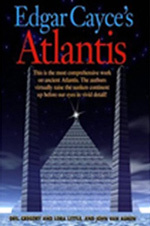 They combined the ground survey with the heights of the pyramids and entered data into a sophisticated computerized astronomical software program. 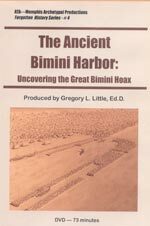 Incorporated into the analysis were the Sphinx, the hilltop believed to have been the survey point when the pyramids were actually built, and other key locations. The timeframe used for the astronomical calculations was a 50-year period (2550 – 2500 BCE), the generally accepted dates of the pyramids’ construction completion. Results showed that the three wing stars of Cygnus fit the peaks of the pyramids somewhat better than does Orion. However, more importantly, an additional critical finding was confirmed. When viewed from a distance behind the key survey hill, in the critical timeframe (circa 2550 BCE), the three wing stars of Cygnus were seen to respectively set directly into the peaks of all three pyramids. It is an impressive confirmation of the Cygnus-Giza Correlation Theory.